Brokaw will receive the foundation’s LaDonna Zall Compassionate Witness Award. Tom Brokaw, the legendary NBC broadcaster and author, will receive the third annual LaDonna Zall Compassionate Witness Award during the annual Heart Mountain Pilgrimage in Wyoming on July 27, the Heart Mountain Wyoming Foundation decided during its board meeting in Washington, D.C., on March 2. 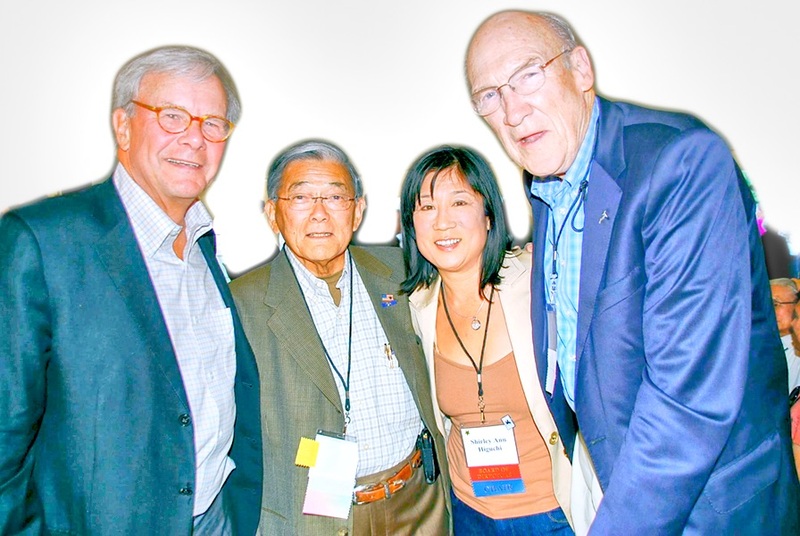 Since speaking at the 2011 grand opening of the Heart Mountain Interpretive Center, Brokaw has continued to report on the injustice of the Japanese American incarceration, including an NBC News report marking the 75th anniversary of Japanese internment in 2017. The award is named after Zall, who as a child living in Powell, Wyo., witnessed the last train of incarcerees leaving Heart Mountain on Nov. 10, 1945. She became a teacher in Powell and was one of the first local residents to join the foundation in developing the interpretive center. She received the first Compassionate Witness Award, which was then named after her. Last year, the foundation gave the award to David Ono and Jeff MacIntyre, the Los Angeles-based team that produced the Emmy-winning documentary “The Legacy of Heart Mountain.” Ono is an anchorman on ABC-7 news in Los Angeles, while MacIntyre is a producer of multiple documentaries. Along with planning for the busiest annual pilgrimage, planned for July 26-27 at the site of the former Heart Mountain incarceration camp between Cody and Powell, Wyo., the foundation also announced plans for its new affiliate — the Heart Mountain Institute. The institute, Heart Mountain Vice Chairman Doug Nelson said, will focus on developing media projects that are separate from the operation of the foundation’s interpretive center and archives in Wyoming. Early institute projects include the republication of Nelson’s 1975 book “Heart Mountain: The History of an American Concentration Camp.” That book, which started as Nelson’s master’s thesis in history, was the first major work that told the story of the Heart Mountain draft resisters, a fundamental part of the camp’s history. While in Washington, D.C., board members working with the institute met with Jonathan Amakawa, an assistant professor at Fitchburg State University in Massachusetts, to plan for the development of an augmented reality tour around the Heart Mountain site. The tour would allow visitors to experience the sights and sounds of the original camp while listening to the memories of former Heart Mountain incarcerees. The foundation and the institute have also applied for a grant from the National Endowment for the Humanities’ Landmarks of American History and Culture program. If successful, the foundation will conduct two workshops in the summer of 2020 for K-12 teachers from around the country to learn about the incarceration and how to teach their students about it.